Calcareous soils in Argentina: myths and truths. Historically wine producers of France have related some special attributes of their wines with the soils of calcareous origin. Currently in Argentina there is a great interest to understand what effects these calcareous soils produce in the wine. 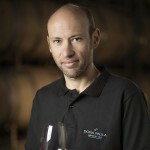 According to our research, in cool regions wines coming from stony-calcareous soils usually have a higher concentration of tannins and color, and in tasting these tannins present a more grainy (or chalky) texture, in contrast to the smoothness found in wines from stony-sandy soils without calcareous. 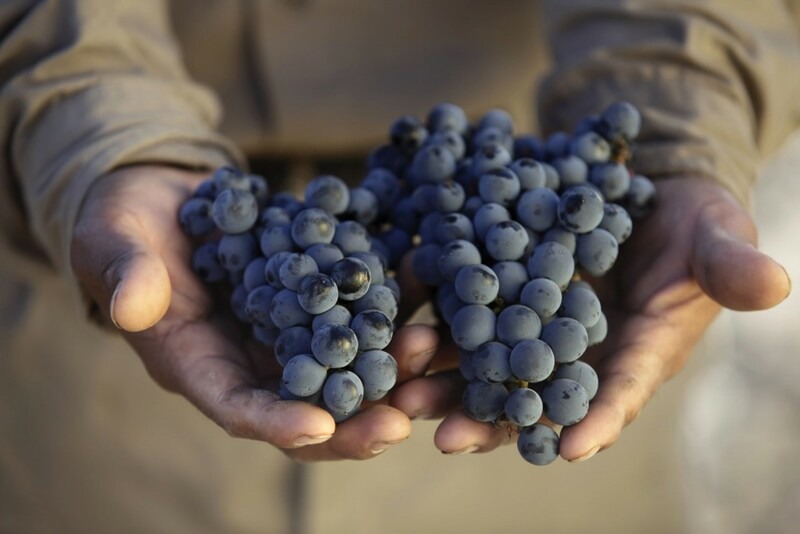 The effect of calcaire on the aromatic profile is difficult to generalize, but it can be said that in cool regions of Argentina it diminishes the presence of herbaceous notes, and enhances the aromas of black fruit jams and spices. In warmer climates, its effect would not be so noticeable, but in any case they seem to increase the concentration of tannins and the color of the wines. Figure 1: Chemical reactions that give rise to calcareous (CO3CA), simplified. Calcareous has low solubility in water, and precipitates to the bottom of the sea trapping, in the process, marine remains that happen to form later part of the seabed. After millions of years and by the effect of compaction, this precipitate forms limestone that is calcareous with some impurities and remains of marine animals. Figure 2: Left: soil profile in Saumur (Loire Valley) where it is evident how the mother rock (limestone) in its upper part has given origin to the soil. Right: limestone stones in Sancerre vineyards. A part of the Western Argentina was once under the Pacific Ocean until the rise of the Cordillera de los Andes. In some sectors of this mountain range today you can find remains of the seabed formed by limestone with marine fossils from 30 to 50 million years old. The rocks of the mountains eventually fragmented and eroded, depositing these materials in the piedmont and nearby plains. The limestone rocks of the cordillera, a weak mineral, did not reach the plains as such because they disintegrated along the road, meaning they are not usually found in our vineyards. However, the presence of limestone in the soils of Mendoza is very frequent, usually penetrating the rocks and fine material. Its concentration can range from 0 to more than 10%, and is often concentrated in a stratum known as calcrete or caliche that presents a compact appearance of whitish or pale pink color (see figure 3). Figure 3: Examples of soils with formation of a strongly calcified stratum (left: Gualtallary, Tupungato; right: El Cepillo, San Carlos). The process of formation and accumulation of calcareous in-situ (calcification) is extensively treated in the specialized literature (see bibliography cited) within the process of aridisol formation (soils of deserted areas). Studying a large number of soils in different sectors of the province, layers of caliche at different levels of formation may be found coinciding with the progression of accumulation shown in figure 4. In most cases, there are no nearby streams or rivers to explain their presence. Calcareous horizons are also observed in high sectors where the probability that these soils have formed by beds of streams or rivers is very low (hills of the Precordillera and Cerrillos of Tupungato). Recent studies in the Uco Valley, in which we have had an opportunity to participate, show that soils with the highest calcareous content are those that have been away from the influence of streams and rivers for a longer period of time. On the contrary, the lower sectors of the alluvial cones where the accumulation of alluvial deposits is very active, present soils with content of Calcium Carbonate close to 0. If rivers and streams originated in the Cordillera effectively carried diluted calcium carbonate from marine limestone, it would most probably be dragged deep into, through the permeable materials that form the river beds. In this way they would feed the water tables under the Andean foothills instead of precipitate near de surface. Figura 4: evolution of calcification process in aridesoils with stones (below) and without stones (above). In the soils of desert areas very frequently high calcareous contents are found, usally between the sand deposited by the wind on top and the stony alluvial materials on the bottom. This calcareous is formed by the reaction of CO2 generated by the roots of the plants, rainwater and calcium (abundant in the minerals of the soils). The chemical reaction is the same explained in figure 1. Although this reaction can occur wherever the soils are abundant in calcium, the accumulation of calcaire is only observed in areas where precipitations are scarce. Soils that have developed this layer of calcium carbonate precipitated receive the name of aridisols (soils of arid zones). The stratum where this calcification takes place is known as the calcium or petrocalcium horizon when it acquires a very firm consistency. The term caliche is also used to refer to this layer that is usually found at 30 to 100 cm deep. In more rainy regions, calcium carbonate is drawn to greater depths, being deposited outside the reach of the roots or being washed away by groundwater currents (aquifers). 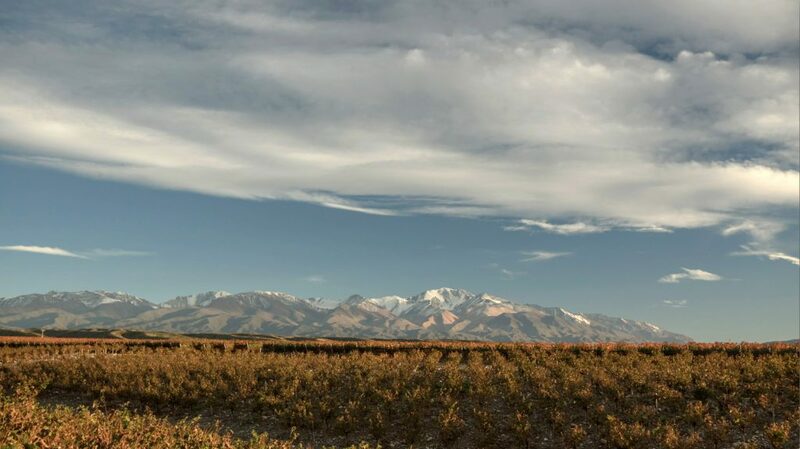 A typical example is what happens in the central valleys of Chile where, although the materials have the same origin (the Andes), the soils do not present important calcareous contents. In contrast, in the drier north of Chile (fourth region), with scarce precipitations, calcareous soils are common. Calcium carbonate in the soils of desert areas of Argentina is abundant. Although there are deposits of marine limestone in the Andes, it does not appear to be the most likely source of calcium carbonate for our soils. Calcaire originates in-situ by the reaction of water, atmospheric CO2 and calcium from the soil, a process known as calcification that occurs over tens of thousands of years. We will delve into other articles on the effects of calcium carbonate on the water and nutritional status of the plant, as well as its effects on wine. 2- SUCESIONES ALUVIALES DEL PLEISTOCENO TARDÍOHOLOCENO, VALLE DE UCO (PROVINCIA DE MENDOZA): INFERENCIAS PALEOAMBIENTALES Y PALEOCLIMÁTICAS. Tesis Doctorado Adriana E. Mehl (Universidad de La Plata, 2011). 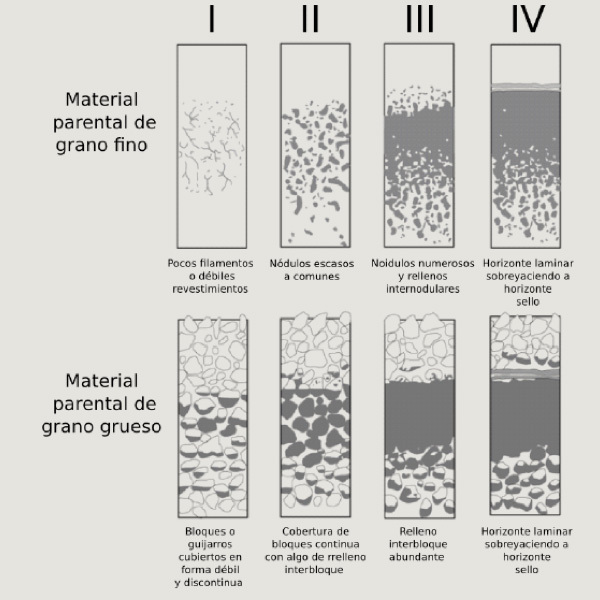 1- GEOPEDOLOGIA Elementos de geomorfología para estudios de suelos y de riesgos naturales; J. Alfred Zinck; 2012. Argentine Malbec: climate’s influence in the aromatic compounds and in the organoleptic profile. What do we mean when we speak about terroir?